A little sunshine popped up over the weekend on a bit of fiscal alchemy at the $3 billion California stem cell agency, and a little clarity emerged. The matter involves the agency’s loan program, which affects multi-million awards to businesses. The awards are called loans but are forgiven if no viable product emerges. The need for change and its financial impact on the agency was not discussed. The specific language being changed was not spelled out. The timetable for the changes was not specified. Nor was it discussed whether the move was desired by any recipients of the agency’s largess. Much later that day or possibly early Saturday, the agency posted a brief memo and regulatory language that provided a better look at the loan rule changes, which could have an impact on royalties the state might receive on a successful stem cell therapy. Based on what is now on the agency’s Web site, the proposal would clarify what happens if a loan-financed therapy is dropped and then revived, leading to actual revenue. Under existing rules, such a situation could trigger an ambiguous financial burden that would have to show on the company books. And business executives and investors do not like ambiguous financial burdens. The directors’ subcommittee is likely to approve the change on Thursday. It would then go to the full board at its Sept. 24 in San Diego for action before it enters the state’s regulatory process, which will open it to further public comment. The Thursday meeting will also take up changes in the “loan election policy” for this year’s $100 million clinical award program. Details on that are still not available as of this morning, but one assumption would be that they are an extension of the proposed loan changes to that particular program. The weekend’s memo on the loan changes was dated Aug. 20. One can only assume that it was lingering on some CIRM executive’s desk for eight days until it was made available to the public, researchers and likely affected businesses. Problems with timely posting of agenda material are not new to the agency. In the more distant past, they were significant but have diminished. That is, until this case and others earlier this year. The agency also has another directors’ subcommittee coming up in just five business days. The session involves two significant, multimillion dollar programs. One proposal calls for creation of an “Alpha Clinics Accelerating Center” in connection with the $34 million Alpha clinics effort. The other proposal before the Science Subcommittee deals with unspecified changes in the agency’s upcoming, $93 million “discovery and translational” award rounds. This morning, no additional details were available on those two matters. The Science Subcommittee teleconference session on Sept. 8 will be based in San Francisco. Interested parties can weigh in at public locations in Irvine, La Jolla, Los Angeles and Duarte. Addresses are on the agenda. The meeting Thursday of the Intellectual Property Subcommittee is also a teleconference session based in San Francisco. Public locations are available in San Diego, Hawaii, Woodside and Redwood City with two in San Francisco. The only public access to these meetings is at their physical locations. No participation is available via the Internet. However, comments may be submitted in advance or later by emailing them to mbonneville@cirm.ca.gov. In just four business days, the $3 billion California stem cell agency is going to perform a bit of financial alchemy. But like most alchemists, its methods are less than transparent. The case in point involves a session of the intellectual property subcommittee of the agency’s board of directors. The committee is scheduled to meet next Thursday to deal with an unknown amount of cash that the agency has given to an unidentified recipient. According to the very limited information on the meeting agenda, the cash was once a loan. But that loan has been forgiven by the agency. Now the plan is to turn that forgiven loan into a grant. Why? How much money is involved? What is the rationale? What is the benefit to the people of California, if any? It is all something of a mystery. Also on the agenda are unspecified changes in the “loan election policy” for clinical awards, a program that is budgeted for $100 million this year. Again, no rationale or explanation is publicly available as of this morning. One of the favorite words of agency’s president, Randy Mills, is clarity. He reminds folks regularly that the agency should have clarity in what it does. Mills has indeed improved the clarity of the organization in his one-year tenure at the California Institute for Regenerative Medicine, as the agency is formally known. He has brought analytic and presentation skills that have opened new insights into how the organization spends the taxpayers’ billions. The result has been an improvement in the way the agency operates. But in this case, the agency is falling short. Its rules call for notifying the public about meetings 10 calendar days in advance of the sessions. However, cryptic agendas that raise more questions than answers do not add up to clarity. Instead, they are opaque and can generate suspicions about the conduct of the agency on the part of the public and interested parties. Trust in government – and the stem cell agency is part of our government – is at all-time lows. It behooves the California stem cell agency to do what it can avoid feeding that distrust and to make its operations as transparent and open as possible. The California state auditor this week warned that a host of state agencies are poorly secured and vulnerable to intrusion, but the California stem cell agency is apparently not now one of the miscreants. In a report released yesterday, State Auditor Elaine Howe said that 73 of the 77 state departments answering a recent security standards survey said that they were not in compliance with security standards. The $3 billion California stem cell agency is one of those departments filled with sensitive data, including proprietary information that is submitted as part of applications for the billions that the agency is handing out. The agency has awarded tens of millions of dollars to a variety of businesses. It also has relationships with researchers in a number of countries, including China. The California research involving a Chinese collaborator does not allow the collaborator password access to the stem cell agency’s grant management system, McCormack said. The collaboration involving the China research is connected to a $1.5 million grant to Holger Willenbring, associate director of the UCSF Liver Center, who has received a total of $4.7 million from the stem cell agency. 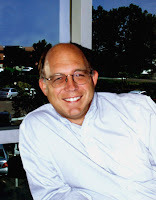 Here is a link to 2014 information about Willenberg’s research. Last week, two interesting stories popped up involving California’s $3 billion stem cell research effort. One of the stories dealt with a matter that could affect as many as 27 million people. The other involved less than 100. One story involved creation of important linkages that could help speed up the transformation of stem cells into cures. The other concerned little more than a change of address. For many persons, such disparities in news are puzzling and frustrating, not to mention disturbing. Sort of like trying to find meaning by reading the entrails of animals. Stem cell research is exceedingly important, the reasoning goes, and how can those dolts in the press ignore it? More specifically, the situation poses a continuing challenge for California’s stem cell agency, which has a hard time breaking into ink except when it moves its headquarters a few miles from San Francisco to Oakland. So how do editors and reporters make the decisions that lead to such disparities? The first thing to remember is that -- like of all us -- the news media are most comfortable doing the things they have always done. The treatment of these two stories follows a pattern that has been established over many decades. Newsies like “horse race” stories – ones with clear winners and losers. In this case, San Francisco "lost" the headquarters of the stem cell agency and Oakland "won" it. The move also fit with an ongoing news theme – skyrocketing office space costs in San Francisco – coupled with high housing costs and the current conflict between the impact of high tech on the city vs. the desire to return to a past that is perceived by many as more benign. Additionally, the stem cell agency headquarters story is fundamentally local as opposed to the arthritis research, which is not solely about the San Francisco Bay Area. The tale was easy to report. It did not require weeks of digging or lengthy interviews to understand the science. The story was basically handed to the news media as a result of the Aug. 17 item on the California Stem Cell Report, although the move has been around publicly at least since July 23. At our request, one longtime observer of the California stem scene, who must remain anonymous, elaborated on the situation. 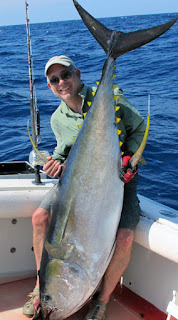 “Well, you write a blog that catches the eye of a reporter/editor. It concerns a state agency that was lured to the city to help kick start biotech, to be a lynch pin, if you like, for a new regional research base. Ten years after arriving the agency is a victim of its own success, or the city’s success, or just the economy (choose your story line here), so you have a story about a state agency moving, a city that is experiencing soaring rents losing businesses like this, and another neighboring city that stands to benefit. You can then focus on the biotech angle - 'is the city doing enough to keep businesses here' - or the people angle or any angle except the only one that really matters, the science. We should add that the treatment of the two stories has lessons that apply to dealing with the media generally. If researchers want to get their stories out – as they should – the first thing to consider is the needs of the media. Work into the existing framework. Don’t try to create a new one. That may take longer than getting a stem cell treatment approved by the FDA. Find a compelling angle, one that can be summarized in a couple of sentences. Speak English. Avoid jargon and technical-speak. Talking about a “chondrogenic drug candidate targeting resident mesenchymal stem cells” will never make the front page. Talking about a relatively simple therapy, the first of its kind for arthritis, has a much better chance. Don’t expect to find relatively well-informed science reporters at news outlets. The few that once existed are mostly gone. Be a guide for editors and reporters and help them along by providing material that answers all their basic questions. Finally, lower your expectations. The financial crunch on the news media means less space for science stories and fewer reporters to write them. But don’t be discouraged. A good story, properly presented can find a home at some point in the media. But it may not be tomorrow. The site that posted the headline was the American Conservative. The item referred to Charlotte Ivanic, the older sister of Cate Dyer, CEO of StemExpress LLC of Placerville. It is the stem cell and human tissue firm that was named in the videos involving Planned Parenthood. In July, Ivanic was the highly regarded top health policy aide to House Speaker John Boehner, who denounced Planned Parenthood and approved House committee investigations into Planned Parenthood and StemExpress. StemExpress: Anti-Abortion Activists Telling "Long Series of Lies"
The company, StemExpress LLC of Placerville, made the charge in a statement that included the unedited portions of the latest anti-abortion video along with a transcript of what was said. “David Daleiden and the Center for Medical Progress today released their latest heavily edited, highly-deceptive video in which they claim StemExpress “admitted” to receiving fully intact fetuses from Planned Parenthood…. “During the video, the parties refer to 'cases,' which is a term of art referring to livers in this conversation. CMP’s accusations that this conversation somehow refers to 'intact fetuses,' which were never mentioned at any point during the entirety of the illegally recorded conversation, are false. The statement and release of the transcript reflected a more aggressive posture on the part of StemExpress, which has lost business as a result of the activists’ efforts. Its employees have also been threatened with violence. Here is the full text of the StemExpress statement. “David Daleiden and the Center for Medical Progress today released their latest heavily edited, highly-deceptive video in which they claim StemExpress ‘admitted’ to receiving fully intact fetuses from Planned Parenthood. Accompanying this document is a link to the unedited part of that video where this supposed admission discussion occurred, as well as a transcript of what was actually said. “As anyone can see and read, the entire discussion was in fact about ‘intact livers.’ Livers are among the most urgently needed of medical tissues by scientists and medical researchers working to cure cancer, diabetes and Alzheimer’s disease. “During the video, the parties refer to ‘cases,’ which is a term of art referring to livers in this conversation. CMP’s accusations that this conversation somehow refers to ‘intact fetuses,’ which were never mentioned at any point during the entirety of the illegally recorded conversation, are false. “StemExpress has never requested, received or provided to a researcher an ‘intact fetus.’ CMP’s and Daleiden’s claims to the contrary are unequivocally false. A Los Angeles judge today rejected a bid by a California stem cell/human tissue firm to halt the release of an anti-abortion video that the firm said is harming its business and endangering the lives of its employee. The firm, StemExpress LLC of Placerville, said, however, it is considering appealing the ruling. “StemExpress won a temporary restraining order last month, but O'Donnell said Friday that the center's First Amendment rights to release the videos trumped the company's right to block them under their privacy claims. “The judge said she couldn't tell who was telling the truth about how confidential the May meeting was, but she said the fact (David) Daleiden concealed his identity and secretly recorded the conversation made his account less believable. “O'Donnell rejected the center's argument that the secret recordings were legal under an exemption that allows such subterfuge if someone believes they are gathering evidence of a crime. A California stemcell/human tissue company this morning renewed its efforts to halt distribution of a video by anti-abortion activists that it says will endanger its employees and damage its business. The firm, StemExpress LLC of Placerville, said in court filings that it was only seeking to stop the distribution of the video, not the information contained within it. It said that the activists, the Center for Medical Progress of Irvine, Ca., and David Daleiden, have misled the judge in the case. The firm said the activists want to distribute the video to “inflame” the public against the company and provoke a “hostile reaction.” The company has already received death threats against its president. StemExpress also said its request for a preliminary injunction does not violate the First Amendment of the Constitution. StemExpress noted that the activists did not report any alleged crimes to authorities during a two-year investigation. Here is the full text of this morning's filing. As of today, the California stem cell agency has a $4 million hook into a San Diego research enterprise that also has ties to a glittering array of partners, ranging from Merck to Bristol-Myers Squibb. The connections fit with the state stem cell agency’s new goal of creating a clear pathway from the basic research bench to the use of stem cell cures in clinics for millions of people. The signal event came routinely and quickly this morning when directors of the California Institute for Regenerative Medicine (CIRM), as the agency is formally known, approved a $1.7 million award. The cash is going to the California Institute for Biomedical Research (Calibr) and its director, Peter Schultz. The funds will be used for pushing into clinical trials a treatment that would -- for the first time -- modify the progress of osteoarthritis, which afflicts 27 million Americans. The therapy could also be used to treat damaged cartilage in knees and elbows. CIRM has now invested $10 million in Schultz, a reknown chemist and biotech entrepreneuer. Six million of that went for research that was performed at Scripps. All of the funds involve the proposed arthritis therapy. Including today’s award to Schultz and funds to other researchers, the agency has now handed out $19.5 million to find a therapy for arthritis. Schultz founded Calibr three years ago with up to $90 million, promised over seven years by Merck. The Big Pharma firm has first refusal rights on treatments developed by Calibr. If Merck passes, then other enterprises can make an offer. Calibr has additional partnerships, including a $28.9 million, five-year relationship with the Gates Foundation. Schultz says “our mission is a little bit arrogant.” In a lengthy piece in March by Bradley Fikes of San Diego Union-Tribune, Schultz said Calibr has “a very broad spectrum of interest and we hope to have a significant impact on a number of diseases." “These institutions have trouble collaborating with big pharma because of differences in culture and regulatory challenges of for-profit and not-for-profit collaboration. "'That's left the universities try to do drug discovery themselves,’ Schultz said. ‘The problem there is they don't have the knowledge, experience or even the processes to do drug discovery, which is a lot different than a cottage industry approach to basic research." “Meanwhile, big pharma is becoming more risk-averse, looking for validated drug targets and in-licensing compounds. That makes pharma collaboration with basic research centers even more problematical, Schultz said. "’We have to come up with other ways to really facilitate and accelerate the translation of new research into new medicines,’ Schultz said. ‘Universities are trying to set up their own drug discovery units. Scripps has done that in Florida, Vanderbilt, we see Cornell, Rockefeller and Sloan-Kettering teaming up to do that. They're building something from scratch, and usually without having the experience of having been there and done that. And in some cases what they wind up doing is hiring a lot of people from pharma industry and recreating a pharma-like process.’"
Calibr has 110 employees, Fikes reported, including 60 postdocs. Its annual operating budget for 50 projects totals $25 million. Calibr is still busy hiring with seven positions open on its Web site as of this afternoon. The California stem cell agency tomorrow is set to boost its spending on arthritis to $19.5 million with a new grant to a San Diego researcher who is preparing a clinical trial for his possible therapy. The agency’s governing board is all but certain to approve a $1.7 million award to Peter Schultz of the Scripps Research Institute in La Jolla on top of the $6 million he has already received. Meeting behind closed doors, the agency’s blue-ribbon scientific reviewers earlier this summer approved the application on a 12-0 vote. The agency board almost never overturns a positive decision by its reviewers. The review summary said the proposed therapy would be “first in class regenerative medicine” for osteoarthritis as well as cartilage injury. Currently no disease-modifying drugs are approved for clinical treatment of arthritis, which afflicts 27 million people in the United States. The award is to assist in preparation for a federally approved clinical trial. Schultz, who has close ties to Merck and who is also director of the California Institute for Biomedical Research, laid out some details of his approach in an earlier progress report to the stem cell agency. The agency has already pumped in around $17 million for arthritis research, including funds given earlier to Schultz. As usual, the award tomorrow involves an institution that has a representative on the agency board. About 88 percent of the money that the agency has handed out since 2005 -- $1.9 billion -- has gone to institutions that have ties to agency directors, according to calculations by the California Stem Cell Report. The stem cell agency does not identify the winning applicants for awards until after the board acts. However, based on information on the agency's Web site, the California Stem Cell Report was able to verify that Schultz was the applicant up for approval tomorrow. Tomorrow’s teleconference meeting is scheduled for only one hour beginning at 9 a.m.. The main session will be in San Francisco, which has another location there as well. Other locations where the public can participate include Irvine, San Diego, Napa, Redwood City, two in Sacramento, Los Gatos, San Francisco, Elk Grove, Beverly Hills, Fresno, Los Angeles, Cambridge, Ma., and Ballard, Ca., in Santa Barbara County. Specific addresses can be found on the agenda. The public can also make comments on any issue during the board session. The Los Angeles Times today said anti-abortion activists have “terrorized and harassed” a small California stem cell/human tissue firm in a heated, national campaign that threatens important medical research. Pulitzer Prize-winning columnist Michael Hiltzik took on the issue in a column published this morning. “Last week a small California company that provides human blood, cells and tissues to research scientists bailed on one of its partners, Planned Parenthood. The San Francisco Chronicle today picked up the story about how “a simple state agency” is moving its $3 billion operation east from San Francisco across the Bay to Oakland. The newspaper carried the article by Victoria Colliver on its front page, one of the few times that news about the state stem cell agency has made such a splash in its hometown paper during the last 10 years. The story followed yesterday's piece on the California Stem Cell Report, which carried the first published details about the move. Most of what the Chronicle reported was familiar to our readers but Colliver also had this from Kevin McCormack, senior director for communications for the agency. McCormack said it would have cost the agency $1.5 million to pay for the equivalent space (20,000 square feet) that it now has in San Francisco. Instead, it found a home in Oakland with 17,000 square feet for $697,560 a year. The agency has about 55 employees. No coverage has yet surfaced in Oakland area media outlets, according to a Google search this morning. A California stem cell/human tissue firm appears to be losing its battle to halt damaging videos that have entangled it in an emotional national controversy about abortion, the Washington Post reported today. An opinion piece by UCLA law professor Eugene Volokh said that the Los Angeles judge in the case “seems to have been persuaded” by the anti-abortion activists to refrain from blocking further distribution of the videos involving StemExpress LLC of Placerville. The city of Oakland does not have the same snap and sizzle as San Francisco, but it will soon have something that the famed city-by-the-bay will not have – the headquarters of an internationally known, $3 billion, stem cell research agency. California’s taxpayer-financed program, which is arguably the largest, single source of stem cell research funding in the world, is leaving San Francisco this fall and moving across the bay to the sunnier and cheaper climes of Oakland. The reason is that the agency is no longer the beneficiary of free space in San Francisco and can’t afford to pay sky-high rent to stay there. The new address for the California Institute for Regenerative Medicine (CIRM), as the agency is formally known, will be 1999 Harrison St. in Oakland. 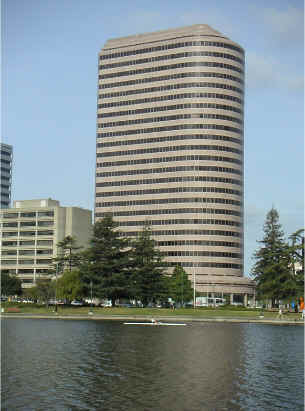 CIRM will be housed on the 15th and 16th floors of a granite-clad building overlooking Lake Merritt in the downtown area. In San Francisco, the agency’s neighbors included Happy Donuts, which also sold Louisiana fried chicken, and the San Francisco Giants baseball park. In Oakland, its neighbors will include the FBI and Cerexa, Inc., a biotech firm owned by Forest Laboratories of New York. If CIRM workers are missing Happy Donuts fare, Oakland's famous Chicken&Waffles restaurant is only 15 minutes away on the bus. The stem cell agency enjoyed its rent free location as the result of a bidding war in 2005 among cities in California to acquire the agency headquarters. San Francisco offered a package that it calculated at $18­­­­­­­ million. It also helped San Francisco that Bob Klein, the first chairman of the agency, lived on the San Francisco peninsula. The agency and its auditor estimate that CIRM saved $12 million in rent and related benefits during the 10 years it has been in San Francisco. That money, however, will ultimately be spent on research or agency expenses. That includes the rent for the new digs that will run $697,560 annually. The base rate for the 17,097 square feet is $3.40 a foot. The agency will have 14,411 square feet on the 16th floor of the 27-story building and 2,686 on the 15th. The agency is expected to run out of cash for new awards in less than five years but will have ongoing functions related to its existing awards. Costs for tenant improvements are still being calculated along with costs for the move. Under the San Francisco lease, the owner provided free parking, a significant benefit for the agency employees, which number about 55. Parking can run to $15 to $20 a day in the agency's current neighborhood, according to sanfrancisco.bestparking.com. In Oakland, employees will have to pay for their own parking, but the agency is looking into government assistance programs. The location is near a BART station, a mass transit overhead rail system that runs through much of the San Francisco Bay Area. Over the years, Oakland has presented a changing face to the public. In World War II, it was part of what was described as a “second gold rush” as the result of defense plant operations. In 1966 , the city was the headquarters of the Black Panthers, whose co-founder, Huey Newton, attended high school there. Today Oakland is involved in a wave of gentrification that has created tension­­ within the community. It may be fitting for the agency to return to what is known as the East Bay area in California. Its first, temporary headquarter was located in Emeryville, just three miles up the road from its new space. Here is the text of the full statement from StemExpress as provided to the California Stem Cell Report by a spokesman for the firm. "StemExpress at its core is a small life sciences company committed to accelerating research, advancing medicine, and saving lives. We partner with organizations also seeking to help researchers find solutions to some of life's most significant medical conditions and diseases. Our commitment to quality defines us and is demanded by our customers in the research community. "We value our various partnerships but, due to the increased questions that have arisen over the past few weeks, we feel it prudent to terminate activities with Planned Parenthood. While we value our business relationship with Planned Parenthood, that work represents a small percentage of our overall business activity and we must focus our limited resources on resolving these inquiries. "StemExpress works tirelessly to accelerate the speed of helping patients globally: 7.6 million people die of cancer each year, another 7.4 million of heart disease, over 4.6 million from lung cancer, AIDS and diabetes and every 12 minutes another name is added to the national transplant waiting list. These numbers drive our work and the research community. StemExpress looks forward to the swift resolution of all inquiries and audits so we can focus our full attention on helping the medical and research community improve and save lives." A California stem cell/human tissue firm has severed its ties with Planned Parenthood in the wake of a national, anti-abortion controversy, the Politico Web site reported late today. The company has said in court that it has suffered damage and its executives have been threatened with violence as a result of Internet videos that were made surreptitiously by anti-abortion activists. The activists used fake names and a fake company to gain access to Planned Parenthood officials. StemExpress was identified as one of the purchasers of fetal tissue from Planned Parenthood. Investigations into the company and Planned Parenthood have been launched by the Senate and the House. The issue has come up in the 2016 presidential race. The U.S. Department of Justice and the California attorney general are looking into whether privacy laws were violated by the anti-abortion activists. The company has been vilified on the Internet. The latest posting involved a video of a former employee of StemExpress, Holly O’Donnell, who said that “she once saw another technician appear to obtain fetal tissue without a patient’s consent,” Politico reported. StemExpress “unequivocally” denied the claim two days ago. Earlier this week, the activists lost a bid to overturn a temporary restraining order against them. StemExpress said they also “refused to produce witnesses for depositions or respond to document requests previously ordered” by the Los Angeles superior court. The $3 billion California stem cell agency today reported the kickoff of treatment in another clinical trial and managed to wrap a famous California politician into the story as well. The research in the trial has been supported by the state at a nominal amount of $19 million. The cost to taxpayers roughly doubles, however, because of interest on the funds, which are borrowed by the state. 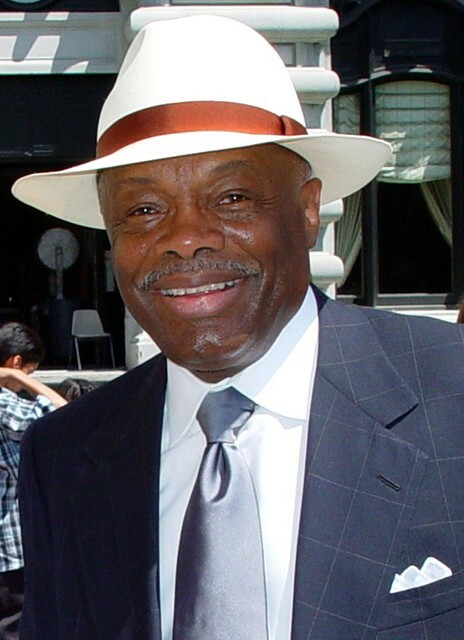 The politician is Willie Brown, former mayor of San Francisco and former speaker of the California Assembly, the second most powerful position in state government, certainly when Brown was in the post. Brown, now 81, has retinitis pigmentosa(RP), the disease that is targeted by the clinical trial. “The patients were each given a single injection of retinal progenitor cells. It’s hoped these cells will help protect the photoreceptors in the retina that have not yet been damaged by RP, and even revive those that have become impaired but not yet destroyed by the disease. McCormack said that Klassen's work offers hope to all those afflicted by disease, including the former mayor. Brown is not believed to be in the trial, but identities of patients are not usually revealed. He has said very little publicly about his condition, but recently talked about it during a speech at a conference held by the Everylife Foundation for Rare Diseases. “He described how people thought he was being rude because he would walk by them on the streets and not say hello. The truth is, he couldn’t see them. Brown sponsored a stem cell symposium in 2004 backing the ballot initiative that created the $3 billion stem cell agency. The news media have not reported any recent comments by him on the agency’s work, according to a Google search. Here are links to the agency’s press release on the trial, an earlier progress report on Klassen’s research and the NIH clinical trial site with enrollment information for the trial. The governing board of the $3 billion California stem cell agency is scheduled to meet on Aug. 20 to give away more millions for late stage preclinical research as part of its ambitious and "radical" overhaul of its funding effort. The one-hour teleconference meeting will have its­­­ main location in San Francisco. Seven other offsite locations are also available for the public, ranging from Napa to San Diego. The number of applications to be considered and their review summaries are not yet available on the Web site of the California Institute for Regenerative Medicine (CIRM), as the agency is formally known. However, they are part of what CIRM President Randy Mills calls CIRM 2.0, what he terms a “radical” change in the way the agency handles applications. Deadlines for applications in this late-stage research round, funded at $100 million for this fiscal year, come up at the end of every month. The goal is to generate better applications and speed the cash to researchers. The program began Jan. 1. So far, only one contract has been signed for a research project, Mills reported to the CIRM governing board on July 23. ­­­ However, four have been approved by the CIRM governing board out of 17 that applied between January and June. “The demand is leveling down more closely to what we thought it would be. So in May we received three applications, in June we received two applications. “The review team was very worried in April when we had five applications because that's more than we actually anticipated we would have, but it seems to be normalizing down around the two or three a month area which is closer to what we had predicted. “One other thing I want to point out here -- which was neat in April -- is we sent three programs for what we call budget review. And that's before we send these things to the grants working group for actual scientific adjudication, we send them for external budget review to make sure that the budgets are appropriate for the scope of work being offered. “We actually had one fail. And I like that because that says that system is working. And if something is going to go through the process and have a budget that's not justifiable, we're able to catch it, and we're able to kick it out. In this case we made them go back and think through their budget a little more closely. In addition to San Francisco, Napa and San Diego, locations where the public can participate in the meeting and lobby for or against a specific research application can be found in Irvine, Redwood City, Sacramento and Los Gatos. Specific addresses can be found on the agenda. Conservative organizations are exploring ways to sidestep judicial actions that have put a halt to some of the anti-abortion videos dogging a California stem cell/human tissue firm. One proposal calls for Congressional committees to place the videos on the public record as a result of a Congressional request. The argument goes that the judges cannot prevent a Congressional hearing at which the videos are presented. The company involved is StemExpress of Placerville, which was identified in videos taken surreptitiously by anti-abortion activists who used false names and a fake company to win the confidence of Planned Parenthood officials. Both Senate and House committees are looking into the videos, deploring what was said about obtaining human tissue by the Planned Parenthood employees. Federal and state officials are looking into possible criminal violations by the anti-abortion activists who failed to get legal consent for recording the comments by Planned Parenthood officials. StemExpress has won a temporary restraining order against further distribution of the videos, arguing that the firm has already been harmed and could be irreparably damaged. The firm also said violence has been threatened against company employees as a result of the videos. The Congressional ploy would additionally­­ involve the National Abortion Federation, which has also won a restraining order on the videos. Hearings on both temporary restraining orders are scheduled for later this month in San Francisco and Los Angeles. In a related development, another California tissue firm, Advanced Bioscience Resources of Alameda, surfaced on the Politico Web site in connection with the controversy. In addition to a House committee, the chairman of the Senate Judiciary Committee has requested information from StemExpress, Advanced Biosciences and Novogenix Laboratories, LLC, of Los Angeles, about their policies, practices and revenue. A Republican-dominated Congressional committee today zeroed in on three California human tissue firms entangled in the national flap over abortion and the Planned Parenthood Association. All three were sent letters today seeking to determine whether the companies were in compliance with laws dealing with the distribution of fetal material. They were given a deadline of Aug. 21 to provide a briefing to the House Energy and Commerce Committee. Questions include procedures involving informed consent from donors, fees for fetal tissue, the amount of revenue from fetal tissues in 2014 along with policies and practices for handling fetal tissue. StemExpress of Placerville, east of Sacramento, and its president Cate Dyer, received one of the letters. The stem cell and tissue firm has been much in the news about the controversy. The flap was triggered by Internet videos with Planned Parenthood officials that were taped surreptitiously by anti-abortion activists using false identities and false company credentials. Both the federal and California departments of justice are investigating whether the anti-abortion activists violated the law when they made the undercover videos. The letters to StemExpress and the Advanced Bioscience referred to a July 27, New York Times article that included them. The House committee letter quoted from the piece. "(F)etal tissue is a uniquely rich source of the stem cells that give rise to tissues and organs, and that studying how they develop can provide clues about how to grow replacements for parts of the body that have failed. “'Think of fetal tissue as a kind of instruction booklet,' said Sheldon Miller, the scientific director of the intramural research program at the National Eye Institute. "Stem cells derived from adult tissue may eventually replace fetal ones, researchers say, but the science is not there yet." A Reuters story said that none of the companies has responded to a request for comment.